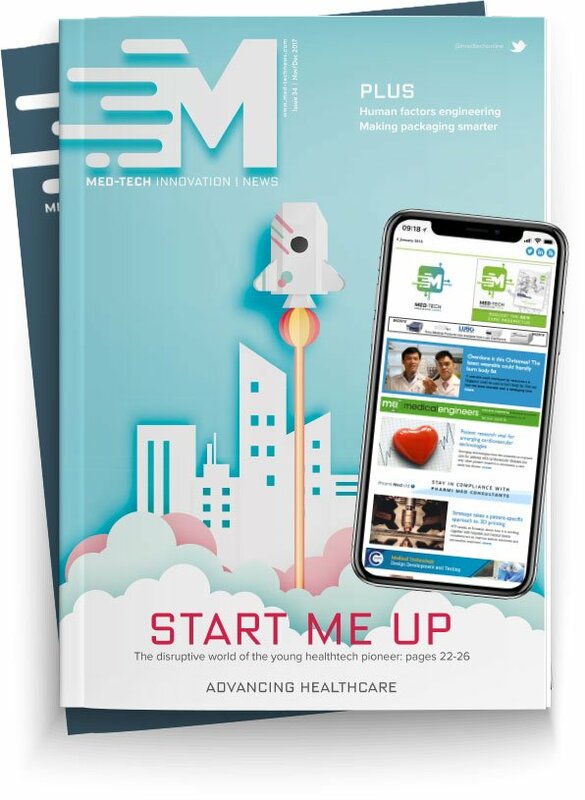 The time has come to take note of the female-focussed healthtech hitting the market, says Med-Tech Innovation News head of content, Lu Rahman. I have to admit to being sceptical of some of the digital devices that pass our editorial desk. Do we really need a digital tampon or a connected nappy that tells us when we need to change our children? However, being female, I have taken a shine to the femtech movement that is growing by the month. I’m intrigued that a) the female medtech market seems to have largely gone ignored until now and b) that many of these companies are headed up by women with very clever ideas – why hasn’t this happened sooner? It’s nothing new really. Women have been coming up with innovative concepts for years - it’s just that they’ve gone unnoticed. Take Virginia Apgar, for instance. Anyone who's had a baby will be familiar with the Apgar score, the test that shows how a baby is doing post-birth. The test was devised in 1952 by Virginia Apgar. It’s pretty amazing that given that Apgar was not only the first woman to become a full professor at Columbia University College of Physicians and Surgeons, as well as designing a test that millions of parents across the world are familiar with, we’d be hard pushed to find anyone who’s heard of its creator, other than obstetricians. Over the last few years there has been a considerable sea-change. More and more female-focussed devices have hit the shelves bringing the femtech movement to the fore. With the range of devices on the market, it’s hard to select just a few to discuss. Now FDA-approved, the Aero-Form device, developed by Colombia University, is a wireless tissue expander designed for patients that plan to have reconstructive surgery following a mastectomy. It is also designed to be used by the patient at home. When carrying out a mastectomy, a surgeon uses a silicon expander underneath the chest muscle. These are then filled with saline injections so the tissue is stretched to make room for an implant. The Aeroform uses carbon dioxide which is compressed in a cartridge inside the device, instead to fill the expander. Gas delivery can be controlled by the patient. A range of products has sprung up aimed at female-specific issues. This includes the Priya Ring. The growth of the bio sensor and what it can achieve has allowed this sector to flourish. With the ability to monitor temperature, heart rate, even sleep patterns, the technology has found a home in femtech devices such as fertility and pregnancy trackers. Products such as the Priya Ring highlight how the market has taken advantage of technology. Described as offering a ‘level of precision that no other ovulation prediction method can’, the ring device features a sensor that monitors temperature to detect changes that take place before ovulation, alerting the wearer when they are at their most fertile. We spotted the Pregsense device at last year’s Medica. The wearable monitoring device is being was showcased by wearables manufacturer Nuvo Group and is designed to allow expectant mothers to capture data about themselves and their baby. The company hopes the device will give doctors insight into the condition of the pregnancy and result in a better experience for mothers. It is thought that the real benefit of the product may be in rural areas and developing countries where complications can lead to fatalities. Brün is a labour monitoring device whose development has been supported by the department of biotechnology at the government of India, and Stanford University. This technology aims to provide an easy to use and cost-effective tool to monitor vital parameters of the mother and foetus during labour. Again, the device should prove valuable in remote settings, particularly in India which experiences over 300,000 stillbirths a year. The female aspect of medtech is exciting and given the range of devices available, and the applications they provide, the space offers promise and potential to improve female health on a global scale.